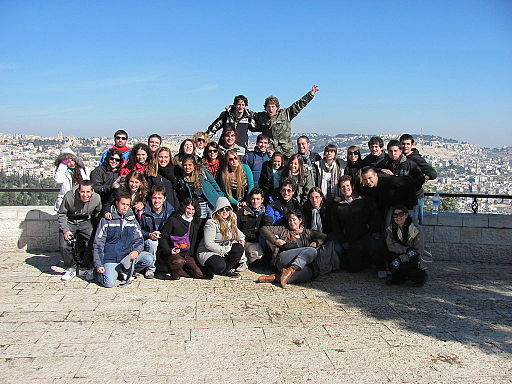 Birthright (Taglit) has sent hundreds of thousands of Jewish youths to Israel on free trips to get in touch with their roots. The purpose is to keep Israel in the hearts and minds of the next generation. The organizers try to keep these trips apolitical. But five young women exploited the gift of a free trip to Israel by politicizing things. The women, from the anti-Israel group IfNotNow, pretended they were ordinary Jewish kids with no agenda other than a free trip to Israel, but had prearranged to break away from the group to take a tour with the anti-Israel group Breaking the Silence. The women abandoned the tour bus, announcing to all that the Birthright tour guides, “hid from us the truth about the occupation.” Breaking the Silence officials were at the exit point, clearly waiting for them. It was a publicity stunt from start to finish. The good news is that the five are going to have a surprise waiting for them when they get to the airport for the flight back to the States. Taglit takes a deposit from all participants. A shenanigan like this means the return flight is canceled. That’s going to end up to be some expensive stunt!